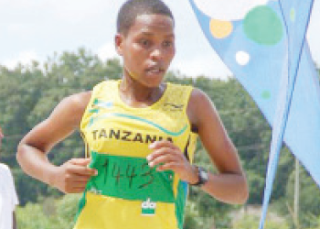 With Kilimanjaro Marathon registration in progress, nine long distance runners have confirmed to feature in the event to be held on February 28 in Moshi. The event’s director, John Bayo named the athletes as Fabian Joseph, Alphonce Felix, Reginald Lucian, Gabriel Gerald, Angelina Daniel, Magedelina Chirispine, Banuelia Brighton, Fabiola William and Rebeka Kavina. Joseph, Felix and Gerald are at the national team’s camp in Siha district to gear up for the Olympic Games in Brazil. “These are those who have confirmed and we are sure there are some who will join the fray later”, he said. He said enthusiasm for the athletes has been high on the grounds among others that the event in Moshi will also be used as a qualifier berth for the Olympics. He urged all athletes to abide by the regulations and avoid being faulted at the end of the race. “We must for example conduct doping tests to satisfy ourselves that the winners were not under any influence,” he said. He said this is a high-profile marathon and must abide the IAAF laws and regulations hence, called on all athletes to be careful so as to protect the image of the country.